How do you promote a small business online these days? As a small business owner what steps should you take to ensure that you are not missing out any opportunities? How can you utilize the internet to find more customers and make more sales? These are some of the questions I will try to answer in this post by explaining 7 methods for promoting a business online that are proven to work. I know that this sounds weird and while this is obvious for many people, still more than 55% of the businesses in America do not have a website or if they have, it is outdated. Host your website on a reliable hosting provider – don’t always go for the cheapest solution but choose a hosting provider that is reliable and trustworthy. Don’t forget that your website represents your business image. Read my article on SEO Web Hosting for more information. Make sure that your website loads as fast as possible – The hosting provider has to play a very important role about this but also the company that will develop your website. Fast websites have many benefits to offer to businesses and this should not be forgotten. Mobile friendly – As we will see below, more and more people use their mobiles to search the web so having a mobile friendly website is a must. Provide information about your business, products or services – Last but not least, do not forget the primary mission of your website i.e. to provide information about your business, products and services in a professional manner. Better do something really simple and functional rather than something stylish but slow and non-user friendly. Creating a website is the first step, the second step is to make sure that your website is search engine friendly. Search engine optimization or SEO as it is widely known is a set of changes you need to do on a website so that it can be understood by search engines. The more information you give to search engines about your website, the greater are your chances of receiving traffic from them. You can read these 4 articles that explain the benefits of SEO for small businesses and how to do it correctly. A large majority of users are surfing the net using a variety of devices besides the desktop and your objective as a business owner is to make your website accessible to the device of their choice. Whether it’s a smartphone, iPad, Android Tablet, Amazon Kindle or even TV (Smart TV, Google TV, Apple TV) they should be able to find, read and interact with your website without any problems. The best way to do that is by adopting a responsive web design which is a design technique that makes a website adaptable to different screen sizes and resolutions. As an example, make sure that you view this website on various devices and resolutions. As a business owner you already know how important the reputation of your company is and that this is something you build with careful moves and patience over time. You also know that a good reputation will make people trust you and this will eventually lead to sales, loyal customers and much more. Well, the Internet is no exception to this rule. You have to work hard to build your online reputation as a trusted service provider or retailer. How can you make sure that the online world knows that you are a reputable and trusted company? Through Social Media – Yes social media is the modern way to spread a word, build a brand and find new customers. Social media networks have millions of users per day and that includes your potential customers. View more details about our social media marketing packages. Another important factor you need to have in mind is that besides building your online reputation you should also take measures to protect it. In other words once you start the social media game you need to be in position to monitor what others say about you in the different social networks and reply to them in case they have a question, bad review or complaint. Search engines and social media networks can only understand one thing and that’s content. Whether its news, product information, text, images, video, infographics, reviews, user’s opinions, forums, questions; you need content in order to be able to promote your business online. This process of using content for promotion purposes is known as content marketing and those businesses that managed to do this correctly have seen great success. If you are still not sure how content marketing can help in promoting your business, consider the example of what I am doing now in the article you are reading. I am using content to help you understand a process i.e. how to promote your small business online and at the same time I am indirectly advertising my expertise and services. What if your niche is not as content rich as SEO, what do you do in such cases? That’s one of the challenges you have to solve but believe me with careful thought you can find a solution. For starters, you can make a company blog and write about your products or services and how they can solve people’s problem. You can share industry tips and news, you can talk about the leaders in your industry etc. When talking with new clients this is always a topic of further discussion but at the end we are always able to find a solution and once they see the results from content marketing then everything becomes easier for both sites. As I mentioned above, besides the desktops you should also make sure that you provide your users with a mobile friendly version of your website so that they can access it on the go. Over and above that you should also take advantage of the different mobile markets (Apple app store, Google Play, Amazon marketplace, Windows Mobile Market). There are millions and millions of users downloading different kind of apps and games from those markets on a daily basis and if you are not there (i.e. have a native app about your business submitted in those stores), they will not be able to find you. What kind of app you can create? Depending on your niche it can be a content rich app, a game or a showcase app. If you are selling a product for example, the app can have more images and videos about your products in a mobile friendly format. The possibilities are endless and the only limitation is the budget you can allocate for establishing your presence in the mobile markets. Advertise with Google Adwords – Google has the largest advertising network in the World and you can use it to promote your business online. It is based on a pay per click (PPPC) auction system and it can help you bring your ad in front of the millions of people using Google to search the web and the millions of websites that show Google ads. Advertise with Yahoo / Bing ads – Yahoo and Bing have a system similar to Google for placing ads in their network and the websites running their ads. Direct Advertising – If you prefer not to use the PPC advertising model you can search the web and find websites that are relevant to your business, contact them and negotiate with them a price for showing your ads. What I have outlined above are only 7 of the available tools you have in your arsenal for promoting a business online. In my opinion, these are the most important methods that are also proven to work by generating a high return on investment. If you are new to internet marketing but understand that you have to do this otherwise it will be difficult to grow your business, the best way to start is by discussing with a digital marketing agency your strategy and create both a short term but also long term implementation plan. How long will it take to see some good results? 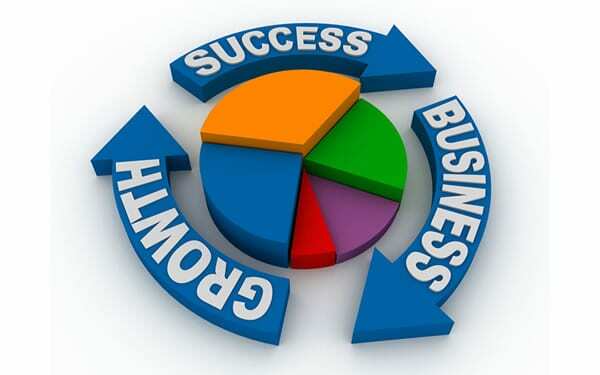 This depends on a lot of factor including budget, implementation methods, complexity of your business, competition etc but when you work consistently, with a plan and towards clear measurable goals, you can have great success online and grow your business 40% faster. I like the instructions you’ve provided for optimizing a business opportunity online. I appreciate that the steps you’ve provided were laid out clearly and the purpose behind them clear. I’ll have to keep in mind to use your mobile market advice as well. Thanks for your comment. Promoting your business online is not a simple task but for sure, the above steps will help you stay in the right direction.